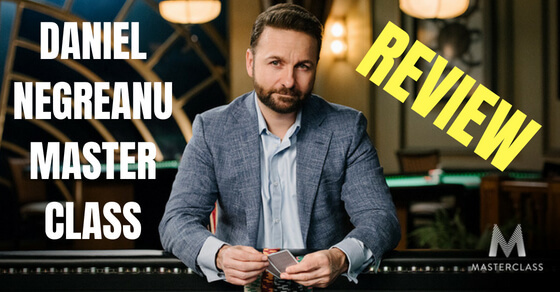 How do you do a poker session review is one of the most common questions that I get asked. Since I have never covered this topic here on my blog before I thought I could put something together now. A poker session review is an analysis of all the top hands that you played in a session. The best way to do a session review is with a tracking program like PokerTracker or Hold'em Manager. By reviewing all of important hands that you played, you can find your leaks and fix them. Now I gotta say right off the top that as a pro I don't actually do a poker session review every time I play. I think regular session reviews are better for less experienced players who are having trouble in spots that they are not overly familiar with. More experienced players who are better at making adjustments on the fly or have simply seen all the spots before won't benefit nearly as much. I have played something like 7 million hands of poker online and 99% of my decisions (at least at the micros where I play the vast majority of my hands) are automatic. If I am playing a different format or taking shots at higher stakes then sure I will review my hands after most sessions. But after a typical session at NL25 for instance the vast majority of the time I do not look at anything unless I am in a really bad downswing which I will talk about a bit more later. The reason is that due to having played so many hands at these limits I have been through the same spots versus the same player types many times before. I have probably reviewed it in the past and come to a conclusion on the best line to take. Therefore reviewing the hand later would not really serve much purpose for me unless I thought that my conclusion was wrong. My approach to these games only changes slightly over time. Yes the games are always changing, as everybody loves to point out, but the actual changes on a month to month or even year to year level (at the micros at least) are negligible. With all of that said, I do think that regular session reviews are a very good thing for less experienced players (I used to do them much more often) and for everybody when in a downswing or moving up. Newer players should review their sessions to find out what mistakes they are making that are either costing them money or not allowing them to get enough value. But really the biggest reason that they should conduct session reviews is in order to think about the game themselves. Those who have read Crushing the Microstakes will know that it reads like an instructional manual of sorts (if A...then do B etc.) because this is what works at the lowest stakes. However, nearer the end I implore the reader on several occasions that learning how to think the game through on their own is the only path to big success in this game. You can only follow what a book, training video or coach tells you to do for so long before you get to levels where the players are too sophisticated to fall for "ABC" or even so called "advanced" strategies. This is because the elite players are able to detect your strategy and find ways to counter it on the fly. Your book, training site or coach won't be there in real time with you to help you counter-react. And this is the real value of conducting a session review. 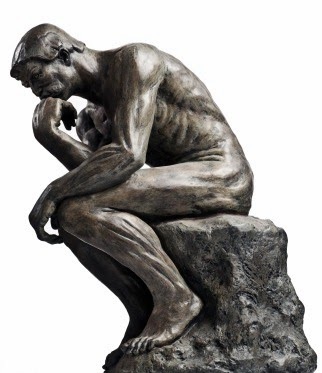 Learning how to think about a hand quickly and determine for yourself what the most profitable line is to take is how to succeed in this game. For instance here is a hand in a deepstacked game where I make several "outside the box" decisions but still have the ability to understand when I am beat and need to fold. This is a scary concept for many people. Many people seemingly want someone to hold their hand all the way to the big game these days. I am sorry but it doesn't work that way. My own experience at the micros clearly shows this. 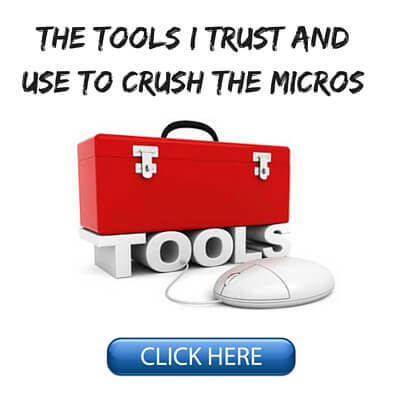 There was no "Crushing the Microstakes" or equivalent for me to read when I was starting out. There were no training sites or micro stakes coaches either. 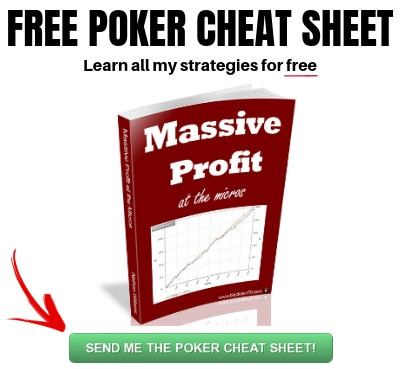 I had Pokertracker 2 though (the best poker tracking program at the time) and developed many of the strategies myself that would later give me huge success at these stakes and be detailed in my book. I spent hours pouring over hands in PT2 finding out what I was doing right and what I was doing wrong. I also played a ton of hands so that I could utilize huge sample sizes when looking at the profitability of certain spots. This allowed me to be statistically near certain in my conclusions. Ok so I have already kind of alluded to how I go about a session review but let's break it down a little bit more. This is the obvious starting point. Most of the hands that are going to be of interest to us in the session review are the ones that gave us trouble. Hands where we were sort of lost as to what to do. It obviously makes sense to simply mark these hands for later review during play. This way you will not encounter problems later on remembering which hands they were and where they are in your database. I use Pokertracker 4 because I think it is the best poker tracking program available right now. Marking hands is super easy with it. On the poker table just hit the tag button at the top left beside the PT4 emblem chip. From there you can simply select a recent hand and choose "review" from the dropdown menu. You can also tag hands that are in progress and/or that you aren't even involved in. Just because you aren't in the hand doesn't mean that it won't be useful to you especially if a good reg is involved (more on that later). 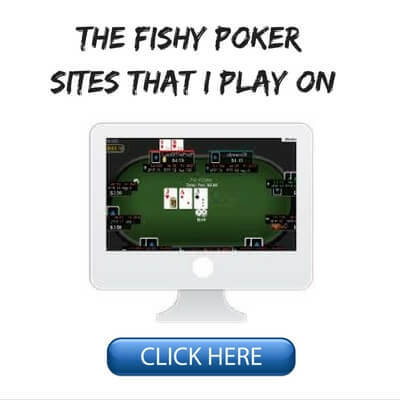 This process is very simple in Hold'em Manager 2 as well. Now that you have marked your hands during play you can go look at all of your hands for the session in Pokertracker 4 and click the box "Show Marked Hands Only" to narrow it to only those ones that are of most interest to you. If you have used multiple tags then you can select from the menu box to the right also. I don't want to waste time on bad beats so I like to have the All-In Equity there. So for instance the hand above where I lost several stacks getting it in with a set of Jacks won't be worth looking at because I had 82.42% equity when the money went in. It was just a bad beat. What I am really looking for are hands (usually medium sized losing ones) where I felt lost in the hand or I feel that I got outplayed. Coolers and bad beats happen to everybody. Learn how to differentiate them from the hands that matter and don't spend much time on them unless there is a legitimate theory concern. Given my opponent's actions throughout the hand thus far, our relevant history (if any), my image and the board texture what range of hands is he likely representing here? Give this range did I take most profitable line in this hand or was there a better option? This is the thinking through the game yourself part that I was alluding to before. You have all the time in the world now to consider the situation. Put your opponent on a range yourself. Given the board texture, your hand and any relevant history what is the most profitable line to take against him? This is the heart of the session review and what will carry you forward in the future to become a better player. There is no point in just spamming all of your marked hands on some random forum and getting a bunch of crappy advice and a tiny bit of good advice. If you are truly lost even after reviewing the hand then fine, post it. Or better yet ask somebody who you know who is a strong winning player what they think. But above all, you need to take the time yourself to find the most profitable line. This is how elite players approach the game. The newer you are to poker the more that this next step will matter. If you tend to stack off with overpairs or top pair hands when your opponent has taken a line that is so obviously a two pair or better hand then you are going to need to spend a lot of time looking over your big losing hands. This is something that I had to do a lot of early on before I smartened up and learned to make correct folds. Something that is also a big problem for a lot of newer players is not getting enough value out of their big hands. If this is the case for you then you need to spend some time looking over your biggest winners and ask yourself if there are portions of your opponent's stack remaining that you could have gotten. If the answer to this question is frequently yes then that is a big problem for your winrate. Same thing here. Another big problem for a lot of newer players is not getting enough thin value bets in and calling river bets when it is obvious that they are beat. You need to ask yourself the same questions. Could I have gotten more out of this player if I played it a different way? Or conversely could I have lost less in a certain hand if I took a different line or analyzed his range a bit better? More Filters > Hand Details > Pot Size and Stack Depth > Pot Size and Stack Depth - Hand Total. 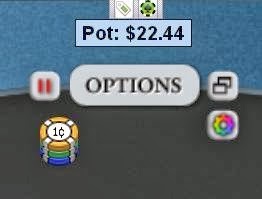 Enter the amount and click "Add to Filter"
I would probably make it between like 30bb-100bb for small/medium sized pots and 100bb-500bb for big pots. Or if you don't want to bother with filters then you can just click on the "Won" column above where the hands are and just find the 30bb-100bb pots yourself. When reviewing hands in the replayer I prefer to just grab a bunch at once. You can do this by left clicking on one hand, holding down the "shift button" on your keyboard, and clicking on another hand to highlight several. Now right click anywhere in the highlighted hands and add them all to the replayer. I do think that it is a good idea for everybody to do regular session reviews when in the midst of a bad downswing. I know that this is the time when I am playing my worst and therefore I use these session reviews to keep myself in check more than anything. So I will be heavy on #4 and #5 above. Is it really just all coolers and bad beats or is there tilt on my part? If the latter, what steps can I take to prevent it from happening in the future? If the former, then it is out of my hands, there is nothing that I can do except try again tomorrow. I also regularly conduct session reviews when I move up or play higher stakes than I normally do. My opponents will be better and may present me with problems that I have not seen before. Also, given the relative lack of information that I will have on my opponents the answers aren't quite as easy to arrive at in real time. It would probably be better if I just devoted an entirely new article to this (I will actually do that next time) but the next step is doing an overall database review. That article is now written and is located here. This involves using filters for broad spots where I think I am having trouble. This can be as vague as hands where I simply raised preflop to hands as specific as I had AKo OOP, 3Bet preflop, missed the flop, fired a CBet and got called. Lastly, something that I have always been big on is reviewing the games of those at my stake who I think are better than me. It amazes me that so few people take advantage of all the free information that they have on the top crushers in their own game. Never I am looking to completely copy their game. My own play style is what works for me already. What I am trying to do is incorporate those aspects of their game that I feel they do better than me, into my own game. Or perhaps just spend some time understanding how they think about the game in general. This can only make me a better player. 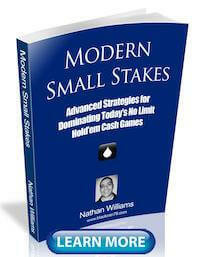 By the way, make sure to pick up my free ebook which will teach you the strategy that I have used to crush the micro stakes for some of the highest winrates in online poker history. I can't wait for your new book, man. Hope to learn a lot from it. 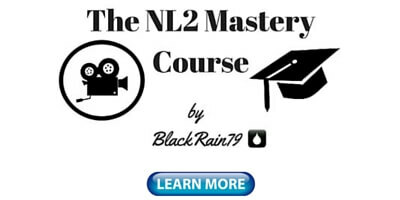 I'm stuck at NL 25 right now :D.
Nice post BTW, but I have a question. How would we know who are the biggest winners in our stakes? Good question. If you are playing on site that PTR tracks that is really easy. Just go there and search. If not, I think you just generally know after awhile. I know you are rarely going to get big enough samples on regs to get to their long run but after a few sessions at a limit I already intuitively know who most of the best regs are. They tend to give me the most trouble and are not just running hot. 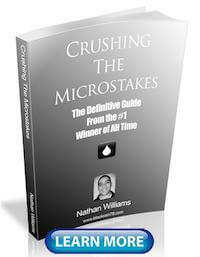 Great Blog Nathan, loving the book and as I haven't finished it yet I was just thinking how to review my sessions. Eh viola Mr Williams with enlightenment yet again! :) I know exactly what you mean about knowing who you best players at the stake are. His sessions will be reviewed immediately, if not to get tips I need to work a way out how to beat him!. Do you have a PT4 filter for your small/medium winning and losing hands? Nope but good question. I generally just click on the "Won" column to sort all the hands by size and pick a bunch of the 30bb-100bb type pots when reviewing small/medium sized pots. I added a bit to the post about how to use filters to do this as well in PT4. Another great blog post thanks! Can't wait for the database review. I am working my way through your blogs, I have bought PT4 and you are helping me learn it. I am playing 5 cent 10 cent limit at Carbon (is that nl10?). I want to buy both of your books - any package deal available if I buy both at once? I card counted BJ for 20 years in LV and know the value of studying and practicing so I am immersing myself in poker strategy. Glad my blog is helping you. Yes, that is NL10 that you are playing by the way. I do not currently have a package deal for my books. It is possible that I consider something like this in the future but probably not anytime soon. Should I start with your first book or go straight to the second? It kind of depends on how you feel things are going for you at NL10. If you feel that you breezed through the previous limits and are having no issues at NL10 then yes you should probably just go straight for Modern Small Stakes. If you struggled at any previous limits or are having difficulties beating NL10 then you should start with Crushing the Microstakes. Nathan, you mention PTR several times, what is PTR? Also you mention adding the All-in Equity stat to your chart, can you elaborate as to why this stat is important and what is a good standard/level/number to aspire to? I just found your site and wonder how it has gone under my radar for so long. 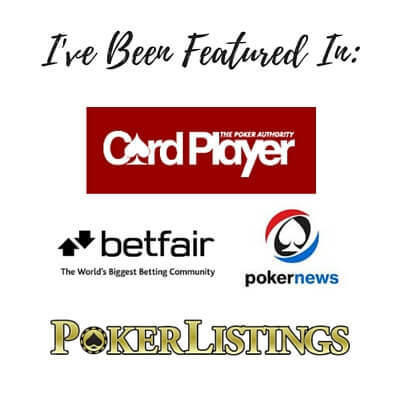 I appreciate you sharing your knowledge while leaving your ego out of it - this is a rare commodity when it comes to poker pros and their websites. I think differently than most people and things like text-based hand history like you see in the forums just does not register in my brain and is ineffective for me as a learning tool. I am forced to come up with different ways to learn and look for people who take time to explain things in a simple format without using poker slang and a ton of acronyms I have to look up in Google. YOur site's content seems pretty asperger friendly. I would like to see more real-world examples of what you are explaining. Session history review could use one strong example of how you identified a great player (or bad hand) and chopped up the available data to learn something specific along with a plan to implement this new thing you learned. Thank again for sharing your knowledge and extra efforts creating this great site. Glad my site is helpful for you! PTR = pokertableratings.com. I don't know if they are still around or what they track these days. I use the All-in-Equity just to show whether I got all the money in with the best hand or not. If I did then it is easier to not bother reviewing bad beats. Hi Nathan, I love your posts and your book CTM helped my game incredibly, I'm now contemplating the move u to NL10 so will be ordering MMS soon. First though I though I would invest in Poker Tracker and after 2 days of the trial was kicking myself for not buying it earlier. Among the other amazing things it provides, it has made reviewing hand much easier and focussed. I definitely have the leaks you mentioned above related to calling too often with good but 2nd best hands like TP, and not getting enough value with big hands and in thin value situations so I'll be doing a lot of reviews around those areas over the next few weeks. I was wondering your thoughts on using the 'leak tracker' function in Poker Tracker to identify areas of improvement. Do you think it's useful and if so what kind of sample size do you think you might need to make it meaningful, obviously just starting with the program I don't have near enough hands yet (about 2,500). I am glad my articles and my book have been helpful for you! I personally have never really bothered with those add on parts of Pokertracker like leak finder, so I can't really comment on how useful they are or not.